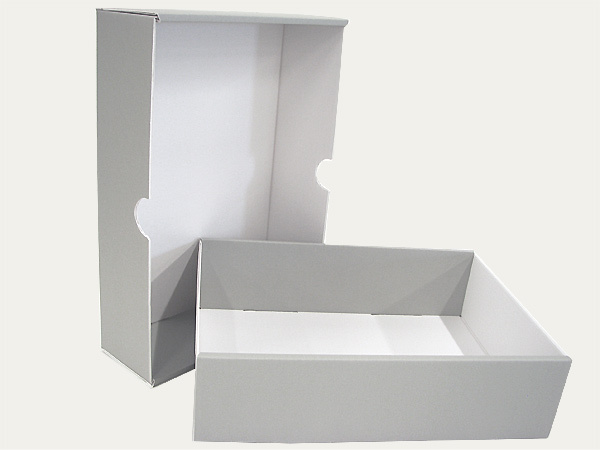 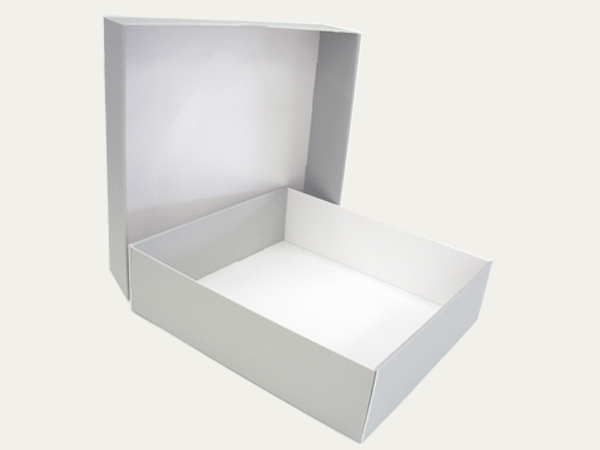 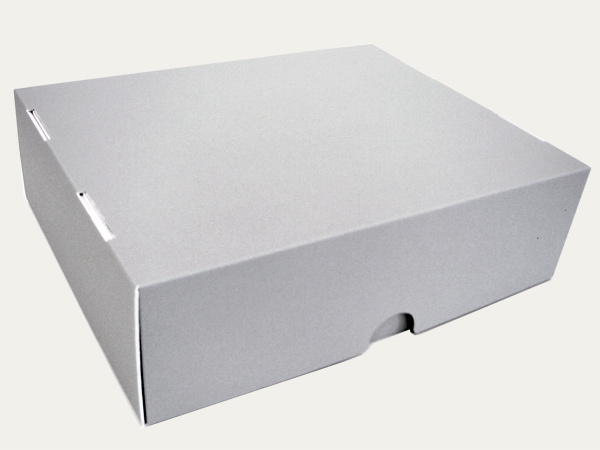 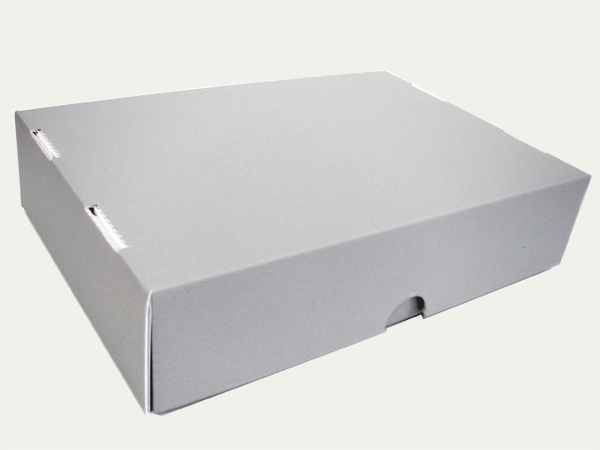 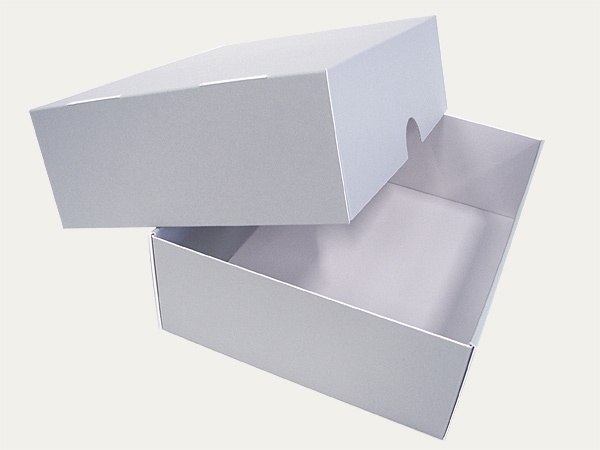 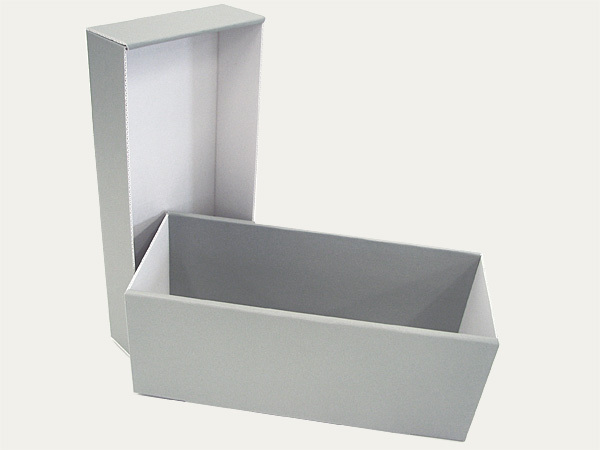 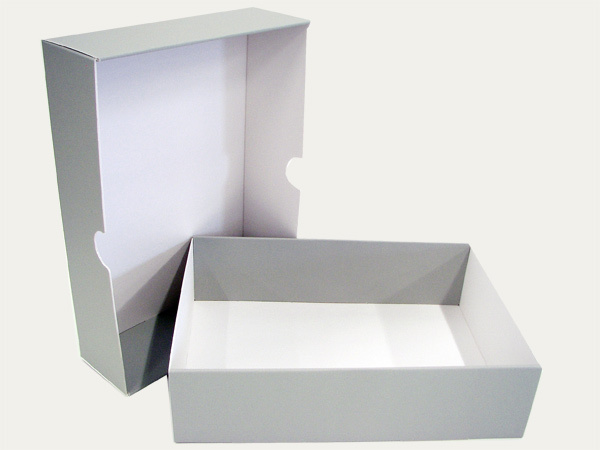 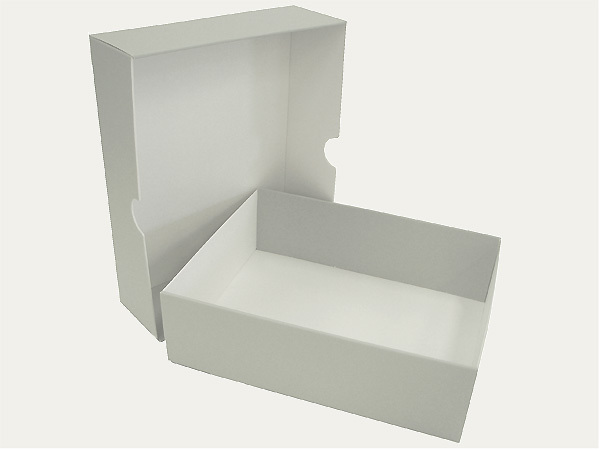 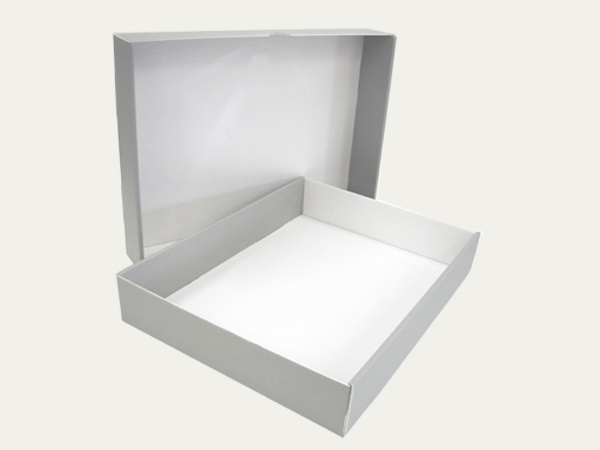 A two-piece storage box, comprising a base and a lid which are both double-walled on two sides. 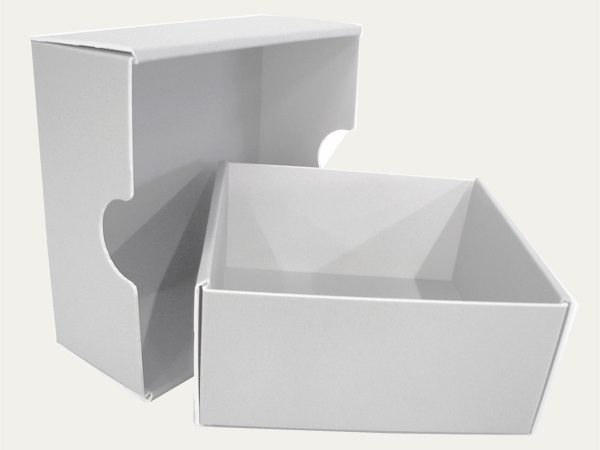 While closed the box is triple-walled all around and thus very sturdy. 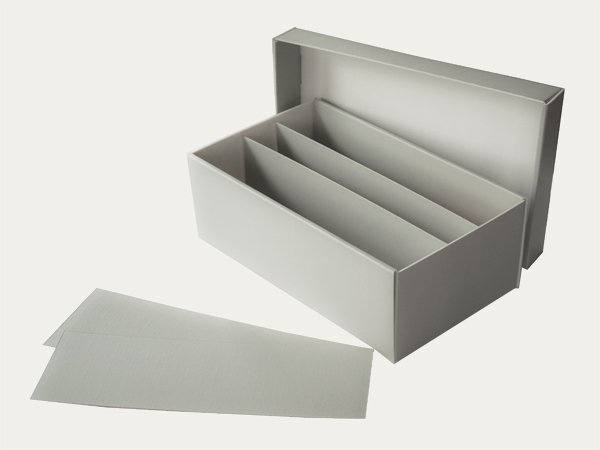 The folding construction ensures smooth interior surfaces. 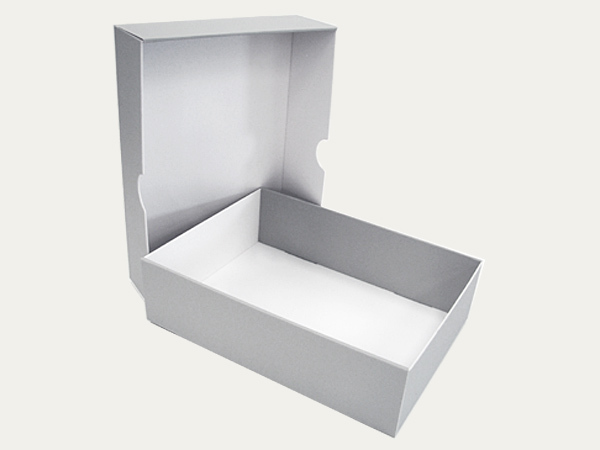 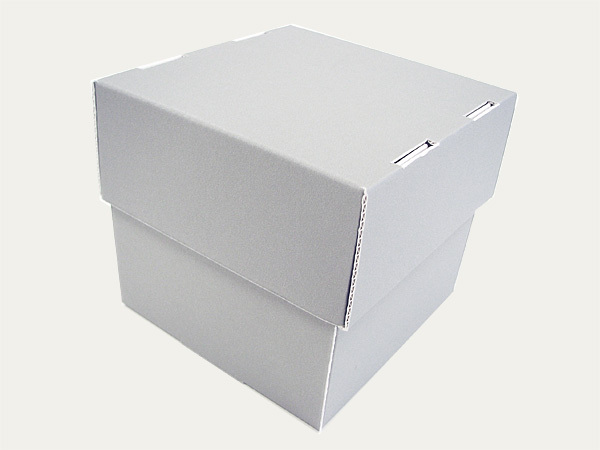 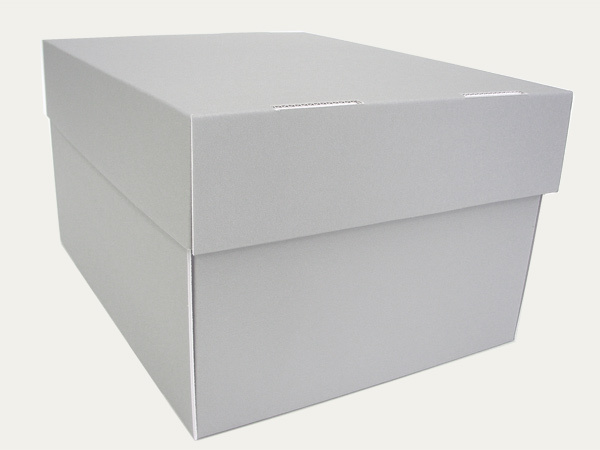 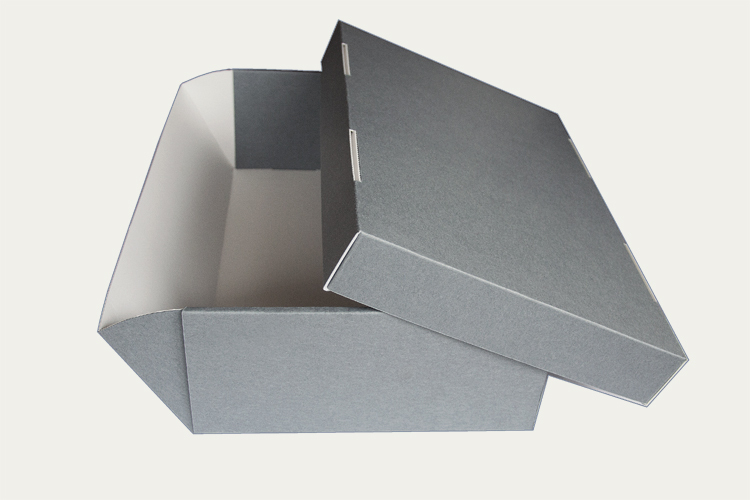 Our most popular two-piece storage box, umpteen times in use. 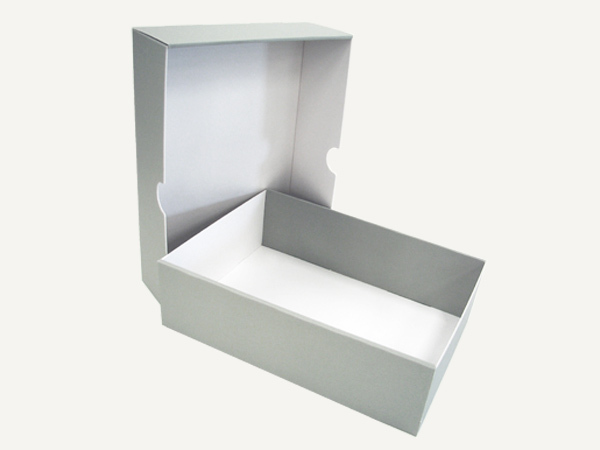 Ideal for the storage of large-sized objects, e.g. 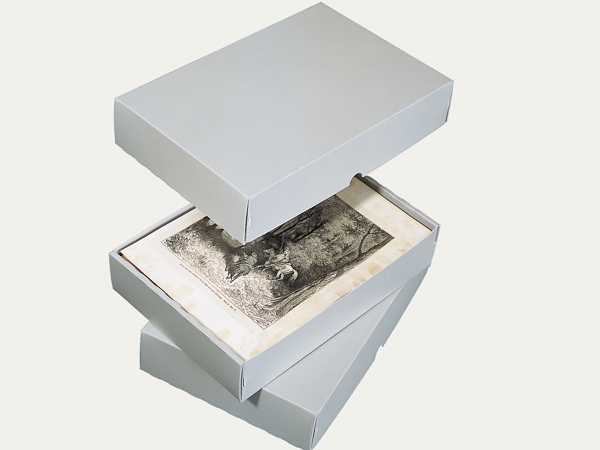 textiles, musical instruments, paintings, art objects etc. 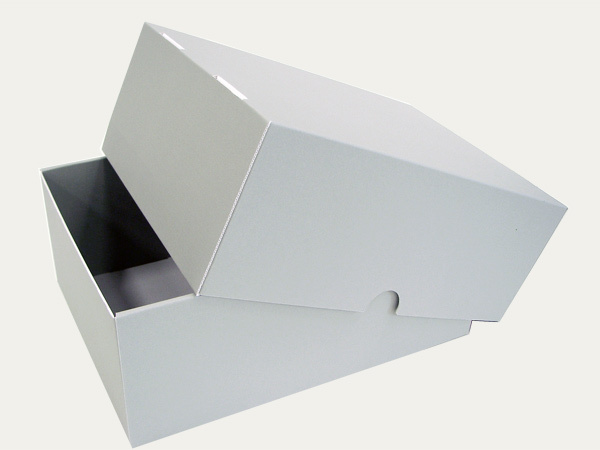 Upon request the base unit can be provided with a drop-front opening.